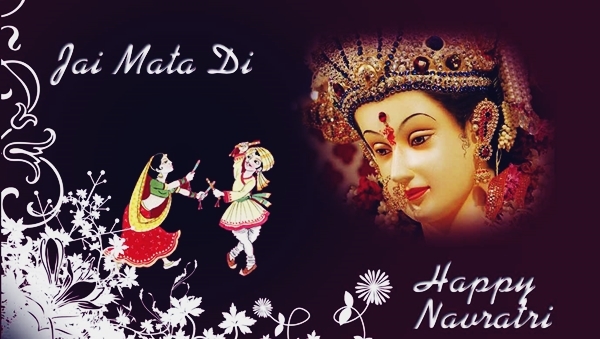 Happy Navratri Festival 2019 Date: Navratri, which means ‘Nine nights’, is a multi-day Indian festive occasion celebrated nationwide. - Thursday, September 21 and will end on Saturday, September 30. This Hindu festival falls in autumn every year which falls in the month of Ashwin according to the Indian Calender and according to the Gregorian calendar it comes in September or October. The festival is observed honoring Devi Durga. Hence it is also known as ‘Durga Puja’ in some states. The rituals and customs followed for celebrating Navratri are all different with respect to the Indian sub-continents. In the eastern and north-eastern states of India, Navratri is known as ‘Durga Puja’ as Goddess Durga had a battle with the devil in the form of a buffalo and had a triumphant victory over him. In the northern and western parts, the occasion is famously called ‘Ram Leela’ that signifies the victory of Lord Ram over the Lankan devil, Ravan. It is also known as ‘Dussehra’. The same occasion in the southern region of the country is celebrated as the honoring of Lord Rama or Goddess Saraswati. So, the thing common in all the celebrations taking place in the different parts of India is that the theme of celebrations is the same i.e., victory of good over evil. The celebration of Navratri festival usually consists of a decorated stage on which idol of Goddess Durga is placed and is worshipped by singing hymns (aartis) and chanting of prayers or mantras. In the eastern as well as north-eastern regions where the occasion is celebrated as Durga Puja, huge idols of Goddess Durga are seen decorated and worshipped with utmost enthusiasm. Big pujas are organized and various types of offerings in the form of versatile delicacies are made to the Goddess Durga. For the Bengali Hindus, this festive occasion is the most significant one. Many large sized pandals are set in community squares (society buildings), roadsides, shrines, temples, etc. and decorated in best possible ways. The Durga temples in the West Bengal, Orissa, Jharkhand, eastern Nepal, Assam, Bihar, Tripura and many other nearby regions are decorated in very unique and beautiful ways. Durga Puja is also observed by the Shakta Hindus. These Hindus are the ones who are followers of Shaktism and believe that the various Goddesses amongst all the Hindu gods are the manifestations of Shakti. The Shakta Hindus celebrate Navratri as a home-based festival. Durga Puja marks the victory of Goddess Durga over Mahishasur, an evil buffalo demon. The last five days of Navratri are the most significant ones for the Shakta Hindus and West Bengalians. The festival begins with Mahalaya, the fifth day of Durga Puja on which the Shakta Hindus remember their loved ones who have passed away. They also commemorate the Goddess Durga’s triumph over the evil. On the sixth day is called Shashthi wherein people welcome Goddess Durga and the festivities for the same commence. On Saptami, Ashtami and Navami (seventh, eighth and ninth days respectively), Goddess Durga is worshipped along with Goddess Saraswati, Goddess Lakshmi, Lord Ganesha and Lord Karthikeya. These days are the most important ones of all the other days of Durga Puja where people chant prayers, recite scriptures and legendary stories of Goddess Durga from the Devi Mahatmya. People celebrate worship Goddess Durga by visiting the pandals in their society buildings or community or nearby localities, temples or shrines. In the northern and western regions where Ram Leela is performed, legendary stories are recited and even enacted in the form of plays (especially performed by kids). In some places in the Northern regions, local actors take part in the Ram Leela that take place in temples or pandals. A Ram Leela commonly consists of songs, narration of legendary stories and dialogues based on the Hindu scripture ‘Ramcharitramanas’, written by Tulsidas. These forms of celebrations are seen in cities like Ayodhya, Varanasi, Vrindavan, Almora, Madhubani etc. The day after the ninth one is called Vijayadashmi. The day commemorates the triumph of good over evil when Lord Rama had killed the evil demon Ravan. On this day, people immerse the statues of Goddess Durga in nearby water bodies where people celebrate Durga Puja. The regions where Dussehra is celebrated, big statues of the evil demon Ravan are prepared using fireworks and are burnt as the day comes to an end (mostly in evening). Navratri is one of the main festivals in Gujarat as well when people are seen observing a fast for the first day or partially for all the nine days. A symbolic clay pot called ‘Garbo’ is worshipped and prayers are dedicated to it, considering it as the womb of the family and universe as well. The Guajarati’s mainly celebrate Navratri by performing the Gujarati traditional dance called ‘Garba’. This is accompanied by a live orchestra along with some devotional as well as movie songs. Another very popular dance is a ‘Sanedo’ which is performed immense enthusiasm. The celebrations in Maharashtra are all in different ways as people of all castes and creeds stay in whole of the state. The main celebrations consist of Ghatasthapana which is observed by the Maharashtrian community. This all begins on the very first day of Navratri which consists of ‘Sthapana of the Ghat’ (mounting of the jar). The Ghat or jars are usually earthen pots or pots made of any metal. On this day, a copper or brass jar containing water are place on a small rice-heap made on a wooden stool/plank (paat) and on the jar a coconut is placed. Around the jar, some agricultural things such as turmeric pieces, mango leaves, coconut and eight major staple grains are placed in systematical manner. Near all the puja arrangements a lamp is lit which symbolizes knowledge and prosperity. This lamp is kept alive for all the nine nights of Navratri occasion. The women worship the pot for nine continuous days and make offerings such as flower-garlands, flowers, fruits, special home-made delicacies (naiveddya) etc. in some communities, Kaali Pujan is performed an first two days of Navratri, Lakshmi Pujan on next three days, followed by Saraswati Pujan on the remaining four days. A ‘Yadnya’ is arranged on the eight day in order to worship Goddess Durga and on the 1st day the Ghat puja is done and the Ghat and all other puja materials is dissolved. Then comes the day after the ninth day of Navratri which is called Vijayadashmi or Dussehra in which a replicable statue of the evil Ravan is prepared from fireworks and is burn as the day comes to an end. So, the basic aim behind celebrating this festive occasion is the victory of Good over evil. Thus Navratri is celebrated for nine long days with deep devotion in all the parts of India in many different days with respect to the sub-continental regions and the rituals followed there.